Pausanias' Description of Greece is in ten books, each dedicated to some portion of Greece. He begins his tour in Attica (Ἀττικά), where the city of Athens and its demes dominate the discussion. Subsequent books describe Corinthia (Κορινθιακά) (second book), Laconia (Λακωνικά) (third), Messenia (Μεσσηνιακά) (fourth), Elis (Ἠλιακῶν) (fifth and sixth), Achaea (Ἀχαικά) (seventh), Arcadia (Ἀρκαδικά) (eighth), Boetia (Βοιωτικά) (ninth), Phocis (Φωκικά) and Ozolian Locris (Λοκρῶν Ὀζόλων) (tenth). The project is more than topographical; it is a cultural geography. 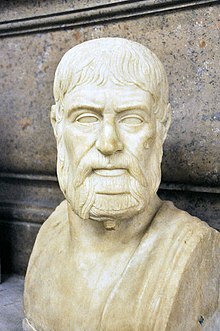 Pausanias digresses from the description of architectural and artistic objects to review the mythological and historical underpinnings of the society that produced them. As a Greek writing under the auspices of the Roman empire, he was in an awkward cultural space, between the glories of the Greek past he was so keen to describe and the realities of a Greece beholden to Rome as a dominating imperial force. His work bears the marks of his attempt to navigate that space and establish an identity for Roman Greece.